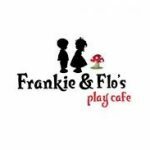 Frankie & Flo’s is back! We are delighted to announce that our monthly get-together in Teddington is back and we will meet the first Thursday of the month. The first session will be Thursday 5th October 3-5pm. It is open from 2pm so feel free to come earlier if you would like to. This is a lovely playgroup. There is a bouncy castle, soft play area, loads of toys including ride on toys, craft activities, a large well equipped baby area, dressing up clothes, their very own play shop and much more. There’s even a roller coaster! There is of course the added bonus of having the best homemade cakes and great magazines if you get a chance to read them!! 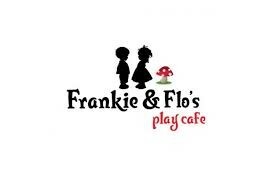 Frankie and Flo’s play cafe is located in St Mary’s Parish Hall, Langham Road, TW11 9HF. There is some free on street parking however you might find walking or the bus easier. The 281, 285 and R68 all stop very close to the church hall. We have negotiated a special discount rate that is basically buy one get one free as you only pay for one child. So for over 1’s that’s £4.50 for both children and for under 1’s £2.50 for both children. Under 3 months go for free. The playgroup will be hosted by new member Alexandra Lord (Mum to Albie & Tuesday) so please do introduce your self when you arrive. However to get the discounted rate all you have to do is mention the club to the staff to get the reduced price. Alex is very much looking forward to seeing lots of you there and getting to know you all.